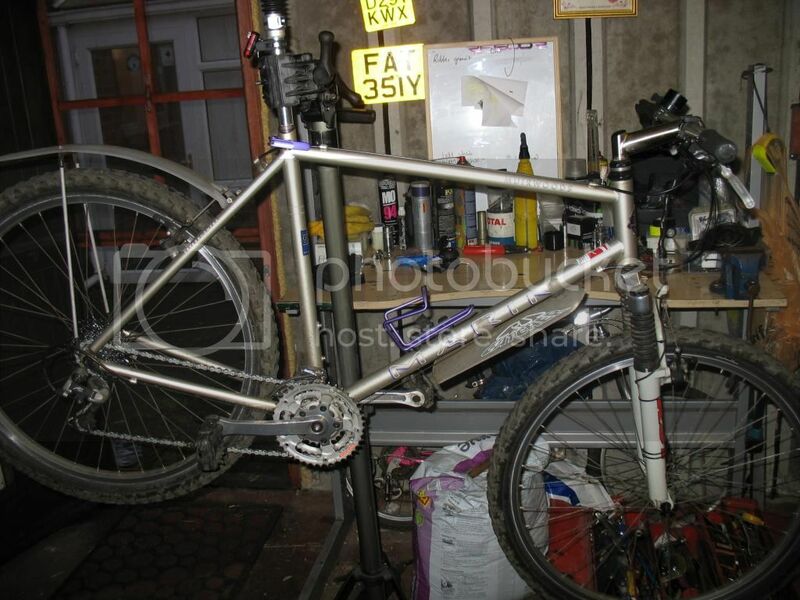 This is my dads 1995 Marin that I inherited (Rip Dad), we used to go mountain biking every weekend, usually to the Yorkshire Dales and Moors in summer, and in winter Dalby and Langdale forests. He even once cracked a rib at Dalby Forest and still rode back to the car I also had a similar 95 Marin (Hawk Hill) but didn't keep mine. You could say I was a fanatic, and the Marin bikes kick started my love of bikes - I get quite misty eyed with 90's bikes in general - but especially Marins - a great era of skinny steel tubes, rigid forks and cantilever brakes. The 90's are my favourite decade too of all things motorbikes, and indeed music too. Some years later as a young toss-pot age 17/18 I 'borrowed' Dads bike to ride to work on - which went on for about 6 months and through a winter, I pretty much wore out the chain and sprockets and then left it in the garage to rot like an ungrateful little sod. I'd always meant to sort it out - get it back to how dad kept it, so it's now time to make it shine again, I've been using it again as my daily driver but don't want it to see the salt so time to restore it back to it's former glory and keep it that way! The bottom bracket (axle) is going to need some 'persuasion' and the spokes are shot. 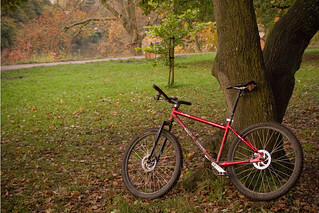 It still has the original tyres though they now need replacing, I also have the original rigid fork which will be going back on. The hubs seem good so will service them and rebuild the wheels with new spokes and possibly new rims. Nice bike mate i love Marins i to have a pallisades trail circa 95 i built it myself just had the frame, put Mavic D521 wheeels on and where I could afford it shimano xt running gear , rock shox judy up front ! that was about 2000 and i still ride it regularly and it is bulletproof never lets me down ! the alu welding on the frame is absolutely gorgeous , keep us posted . i used to do this for a living, lol. worked in a marin dealers for a while too, never owned one though, couldn't afford to at the time. BB will be ceased in (they do that) penertrating fluid, the correct tool and a massive extension will be your friend there, remember it's lefty tighty. get that tyre rub sorted too, once the paints gone a marin has a tendency to rot. as to skinny steel frames and rigid forks, some of us still do that.